60 days or lose them. That’s the deal in Sweden when it comes to dads taking out parental leave. Sweden has one of the world’s most generous parental leave systems in the world – 480 days per child, with a paid allowance from the state. These days can be divided between the parents however they like, apart from 60 days that must be taken by the father (presuming heterosexual partners). If he doesn’t do this, the days are simply lost. This is an effort by the government to promote gender equality around child nurturing – and a more equal sharing of child benefit and leave. 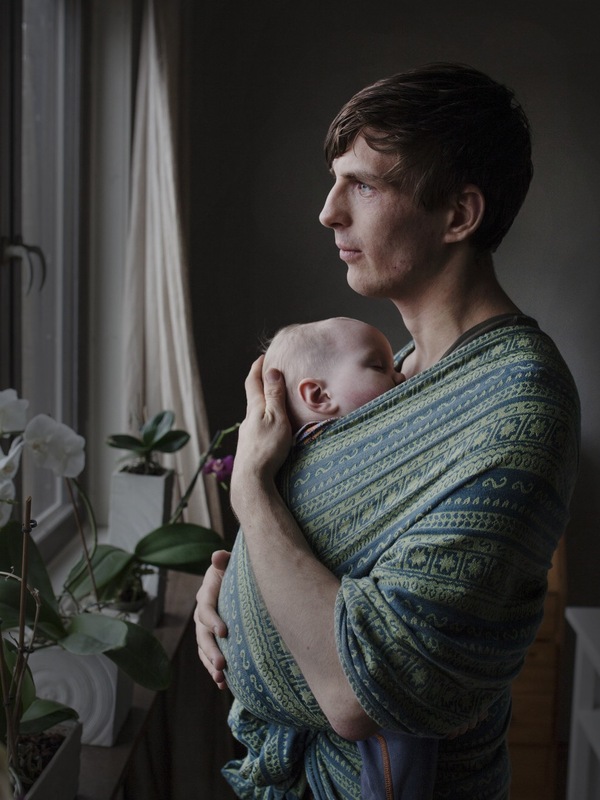 Photographer Johan Bävman found this so interesting that he has documented various fathers during their paternity leave. The exhibition called ‘Swedish Dads’ has raised interest around the world as it challenges traditional stereotypes about gender roles in the family. Johan himself says that he wants to show pictures of role models so that more dads take the opportunity to be home with their newborns. It’s no surprise that this initiative comes out of Sweden. According to one piece of cultural research, Sweden is extreme when compared to other countries in the area of gender overlap (men doing historically ‘traditionally female’ things and women doing historically ‘traditionally male’ things). This system and also this photo series seem to just reinforce the findings in this research. Can it be that Swedish men are the best dads in the world? Or is it just that the system allows them the freedom and approval to develop their relationships early on with their children?